It’s been a busy year in the Canadian beef industry, and we want to take a moment to thank all Canadian beef producers, provincial and national beef organization partners, our service providers, business partners and everyone in between for making it another great one. We’re excited about what’s to come for the industry in 2019 and continuing into the future. We are thankful to work in such a diverse and forward thinking industry, and look forward to continued collaboration. 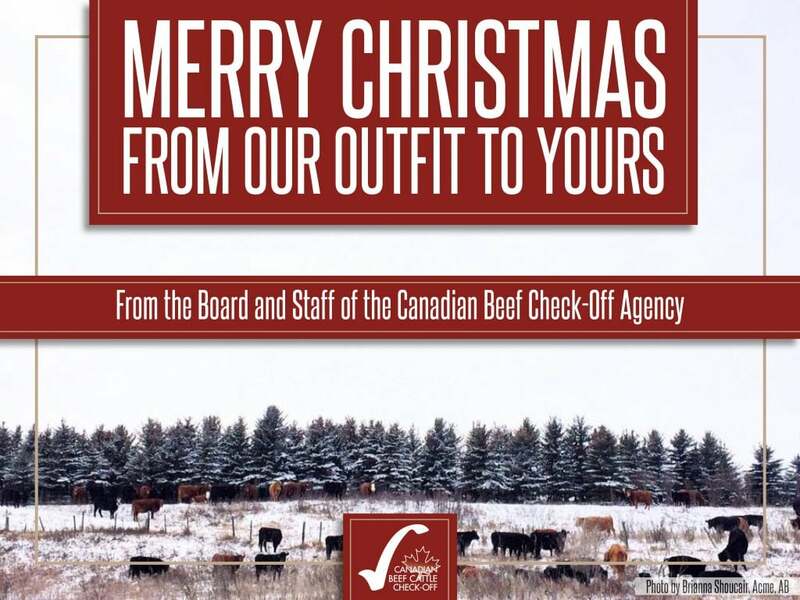 Merry Christmas, everyone, on behalf of the Board and Staff of the Canadian Beef Check-Off Agency. Also, please note that the Agency office will be closed December 24 at 12:00pm MST, reopening for business January 2, 2019. Christmas card photo submitted by Brianna Shoucair, Acme, AB.